Weekly Market Analysis: January 4th to 8th 2016 - Find the best Binary Options Brokers, Binary Options Bonuses, Binary Options Signals, Binary Options Software and everything Binary Options related on Binary Options Directory! 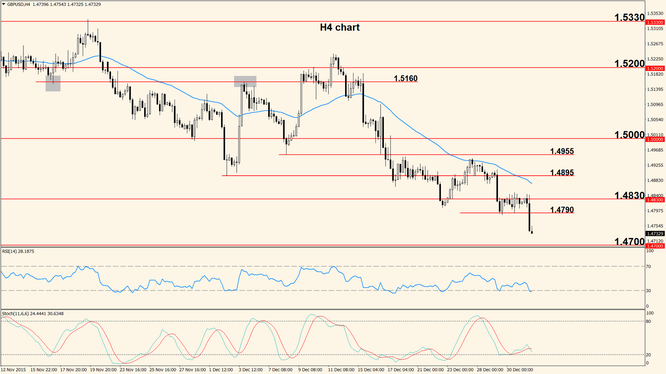 Forex News: Friday markets were closed in celebration of New Year’s Day so action picks up where we left off Thursday. The pair is currently trading below the 50 period Exponential Moving Average on a four hour chart so we favor the short side for a break of 1.0870 support and a move lower, into the next support located at 1.0800. The Relative Strength Index is approaching its 30 level which suggests oversold conditions and this may hinder further movement south but a lot will depend on the German inflation data released today and direction will probably be decided by the value shown by this indicator. The day’s main event is the release of the German Preliminary CPI scheduled at 1:00 pm GMT and expected to show an increase from the previous 0.1% to 0.2%. The German economy is a pillar of the entire Eurozone so an increase in inflation is beneficial for the euro. The second important release of the day is the U.S. Manufacturing Purchasing Managers’ Index, scheduled at 3:00 pm GMT and expected to post a small increase from 48.6 to 49.1. Because this is a leading indicator of economic health, a higher value will likely strengthen the US Dollar. Thursday was the last trading day of last year and the pair traveled fast towards the support at 1.4700 but this move is likely to stall or reverse. 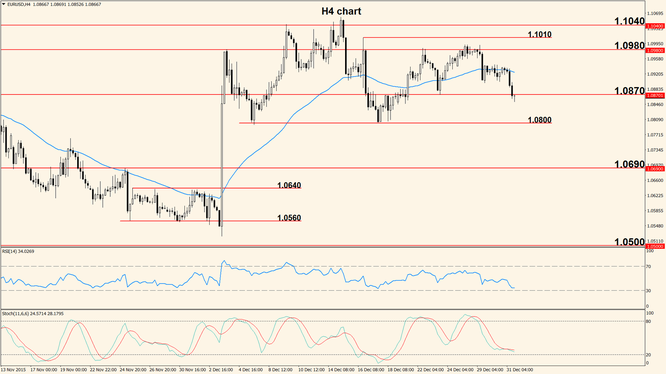 The minor support located at 1.4790 was broken decisively but a descent below 1.4700 is less likely. Fast moves like the current one are usually reversed or a period of sideways movement follows and on top of that, the Relative Strength Index is now below its 30 level so the pair is considered oversold and this further increases the chances of a bullish pullback. The first potential resistance for this pullback is represented by the recently broken level at 1.4790. The highlight of the day for the Pound is the release of the British Manufacturing PMI, scheduled at 9:30 am GMT, with a forecast value of 52.8 (previous 52.7). Similar to the American indicator with the same name, a higher value will strengthen the currency because it shows that purchasing managers are confident in current and future economic conditions.